Have you read the book Germs? 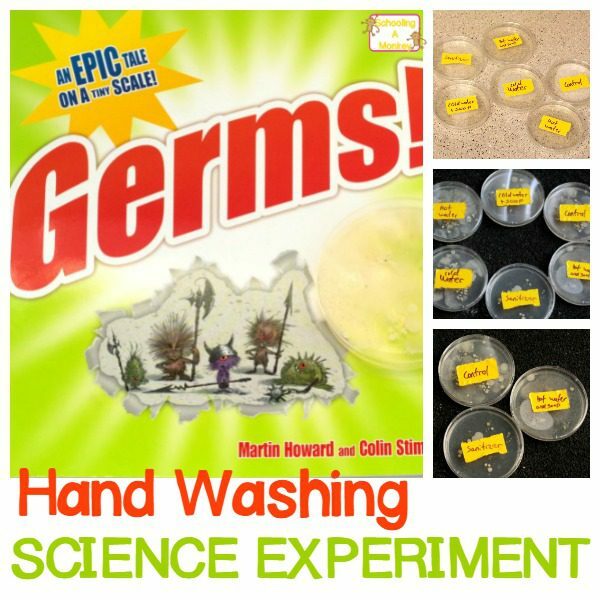 This fun hand washing science experiment brings to life the importance of hand washing for little ones. We’ve been on a picture book kick recently. Monkey was never that interested in storybooks, but Bo is a big fan. One of her favorites (because she’s just a gross-lover at heart) is Germs! An Epic Tale on a Tiny Scale. In this book, a little bacteria just doesn’t understand why he has to fight for control of the toilet when the little boy/girl is so nice! 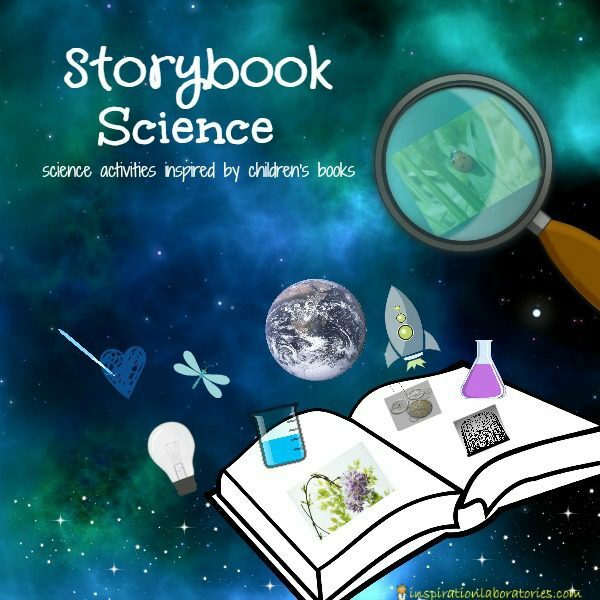 I love the adorable way that the book shows the battle between bacteria and soap and why you should ALWAYS wash your hand after using the bathroom. 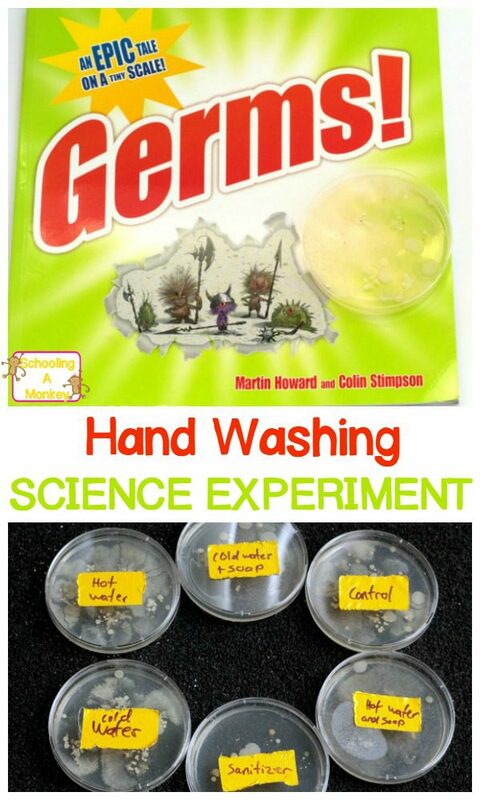 We took the science experiment for kids even further with our own hand washing science experiment! Try this fun hand washing experiment to convince kids once and for all that they really do need to wash their hands with hot water and soap. Bo kind of hates washing her hands, so I thought a hand washing experiment would be the perfect way to show her that hand washing is important. First, before doing the experiment, we read the Germs! book. It’s super-cute. Next, we tried our own hand washing experiment. 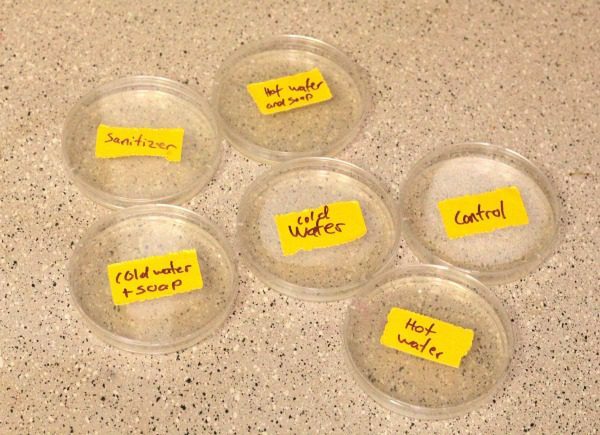 In our experiment, we used six agar plates. 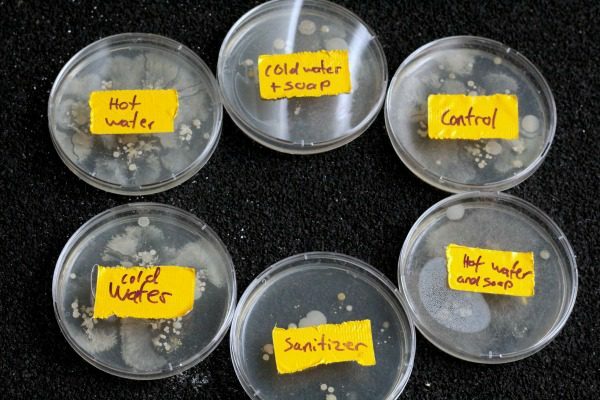 The goal of the experiment was to see which hand washing method was the most effective at stopping/slowing the spread of bacteria. For each plate, I had Bo lick her fingers, then wash her hands in a certain way. After washing and drying her hands, Bo touched her fingers to the surface of each agar plate. We labeled them with a duct tape strip and a permanent marker to keep track. The agar plates went on top of the fridge, and we waited about a week. Unsurprisingly (to me), the hot water and soap and the sanitizer plates remained the cleanest after a week. 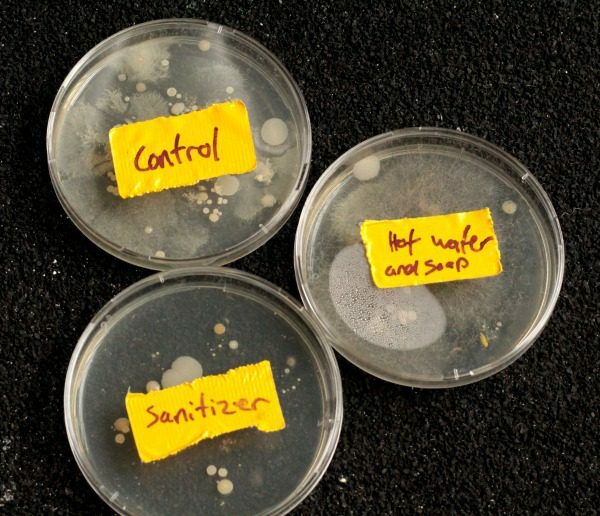 However, I was surprised to see that cold water and soap did so poorly at killing bacteria. I really thought there would be a major difference between the soap plates and the non-soap plates, but there really wasn’t much at all!